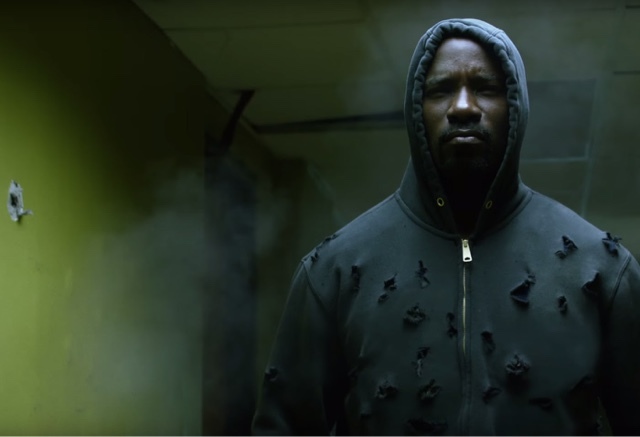 Marvel’s Luke Cage is another one of those brilliant Netflix Originals series. I loved Jessica Jones last year and had forgotten how much I was looking forward to the tale of her fellow reluctant superhero and smouldering romantic interest. 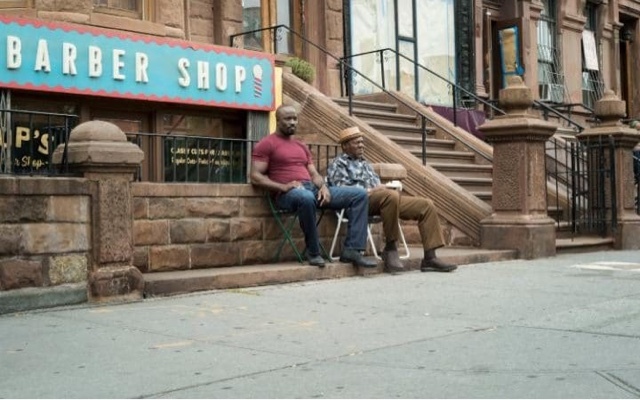 Unlike the dark almost film noir styling of Jessica Jones’ Hells Kitchen locale, Luke Cage is set in bright and bustling Harlem with a bit of a retro vibe and a landscape of Brownstones reminiscent of Spike Lee’s iconic Do The Right Thing set over the East River in Brooklyn. Before long, it’s easy to forget this is a Marvel creation, or that anyone has any remarkable powers at all. Instead of underground lairs or hi-tech clifftop hideouts, the unofficial headquarters for this superhero appears to be Pop’s barbershop with all the typical characters you’d expect to see in an African-American neighbourhood: the old timers playing chess (you might recognise Turk from Marvel’s Daredevil – also on Netflix), the braggadocious youngsters, the wise barber himself, plus humble and brooding Luke Cage played by Mike Colter (The Good Wife) trying to keep himself out of trouble… if not out of beautiful women’s beds! Amid the gangland action, Luke’s powers of super strength and impenetrable skin remind you that this is more than a crime drama even though NYPD detectives Scarfe and Knight (played by Simone Cook and Frank Whaley) seem as though they’d be perfectly at home in Law & Order or CSI. 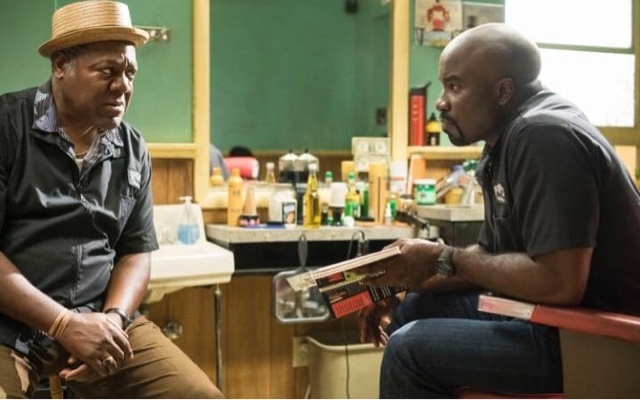 This isn’t as gritty as The Wire and the acting isn’t as good – even from Colter’s title character – but it’s a Marvel TV show, not an HBO drama, so just enjoy it for what it is. 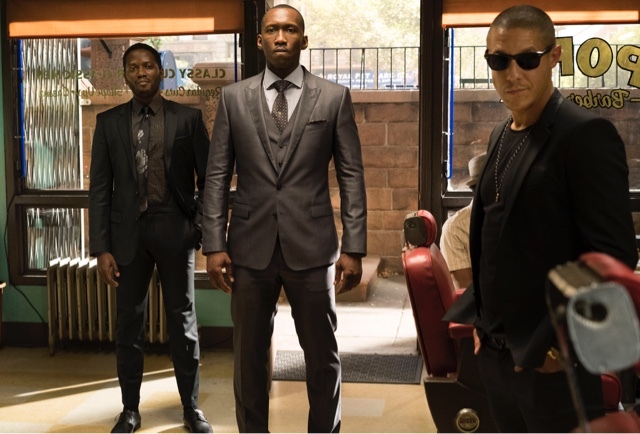 Local kingpin ‘Cottonmouth’ played by Mahershala Ali (House of Cards) and Mariah Dillard aka Black Mariah who, in the TV outing of the story at least, is an earnest – if a little misguided – politician. 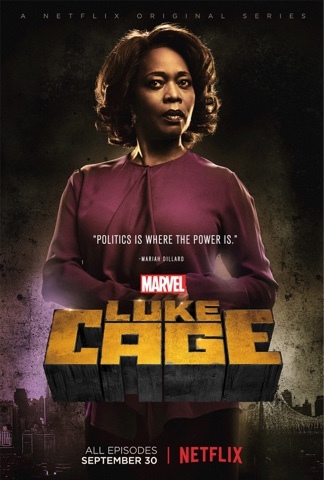 Probably my favourite character, Black Mariah is played by Alfre Woodward who’s been in absolutely loads of stuff over the years (90s Spike Lee joint Crooklyn, heaps of TV and stage productions, and lots of recent film credits including 12 Years a Slave). The opening credits are undeniably cool and there’s heaps of musical cameos – I spotted Raphael Saadiq, Faith Evans and Philly Soul mainstays The Delfonics in the first few episodes alone, really adding to the 70s vibe. Why, I’m not entirely sure. Whether it’s a gimmick to appeal to a demographic, I don’t know. Whether it’s to further set the retro scene, maybe – after all, the comic book character was first created in the Blaxploitation era. It seems a bit lazy to me that a story set in Harlem must therefore have a carefully curated soul soundtrack and to then add expensive guest appearances…? Well, I can’t second guess the motivation behind it – and at any rate it sounds great and I really enjoyed spotting them. Plus I remembered how much I loved Raphael Saadiq in Lucy Pearl and got straight on Spotify to listen to their album for old time’s sake. As well as the smooth soul, the soundtrack boasts some gritty 90s east coast hiphop from the likes of Onyx and Wu Tang Clan. Look out for an appearance from Method Man and see if you can spot the king of cameos himself Stan Lee anywhere throughout the series. Visually vibrant, audibly stylish, and crucially: the latest black superhero. Here’s to many more, and then to welcoming female black superheroes out of the comic books and onto Netflix and the big screen in the near future. In the meantime, the next in the Netflix Original Marvel series will be Iron Fist, in March 2017.